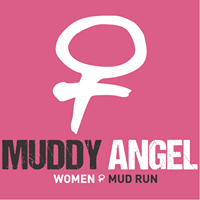 The “Muddy Angel Run” is Europe’s 5 kilometer Mud Run for women of all fitness levels who want to do good while having fun. Whether running, jogging or walking. Whether young or old, whether a small or large donation: connect with other angels from your friends, colleagues, and family. Get your sisters, your mother, daughters, neighbors, colleagues in your team to have fun and do good!